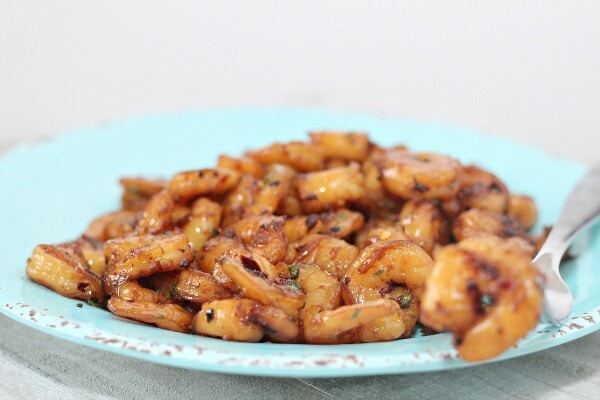 Spanish Garlic Shrimp are absolutely addicting. The vivid flavors of this easy dinner recipe are popping despite only have 5 ingredients! I don't care what I call it…it is just plain good! 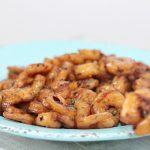 I love the spicy kick from the crushed red pepper and that it is easy to make it even spicier if I am in the mood for that! This simple dinner recipe only has 5 ingredients! Woot Woot! Spanish Garlic Shrimp don't take long to make and I love being able to get dinner on the table fast. Start off by peeling and cleaning the raw shrimp if they didn't come that way. Fill the bottom of a large skillet with about 1/4 of an inch of olive oil. Turn the burner on to medium-high heat and heat that oil up. Add in the garlic, red pepper flakes and lemon zest. Add the shrimp to the skillet. 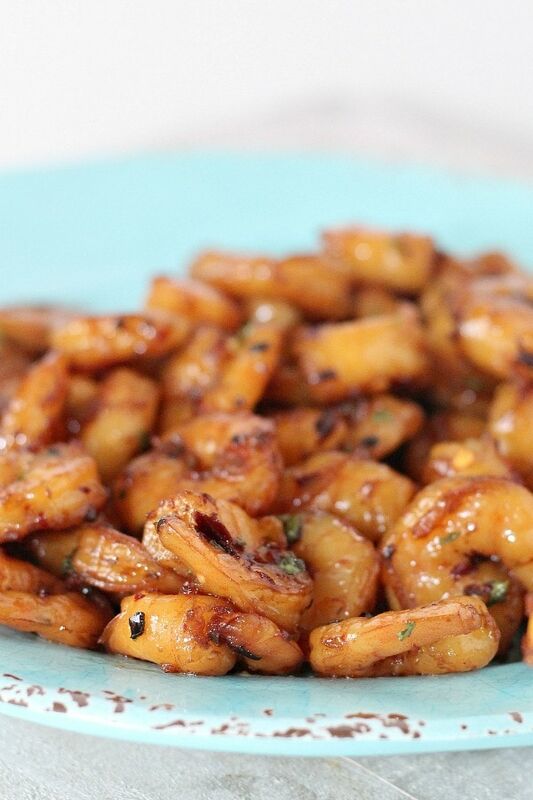 Stir the shrimp around the skillet often and cook until they are golden and cooked through. Drain off the oil and transfer the shrimp to a platter . Feel free to sprinkle some extra red pepper flakes on top, if desired. 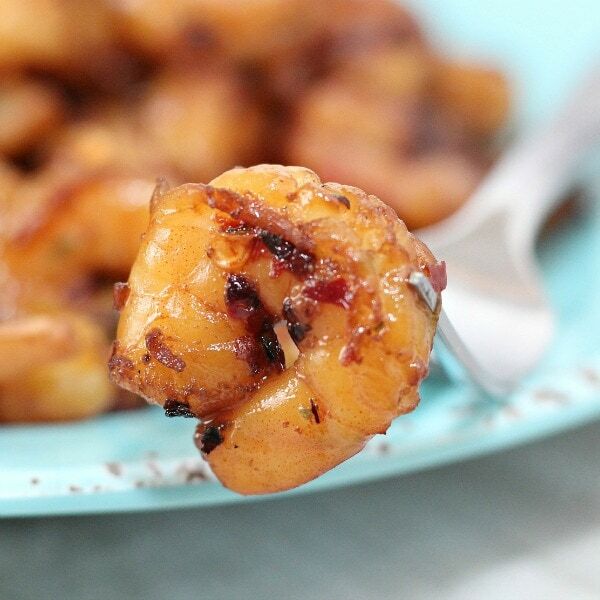 I know you are excited to get this Spanish Garlic Shrimp made and on the table! You can download and print off the recipe below by clicking on the recipe card! Fill the bottom with a 1/4 of and inch of Olive Oil. Heat it up. The hotter the better. Add in your garlic, red pepper, and lemon zest. Stir and flip them frequently, until golden and cooked through. 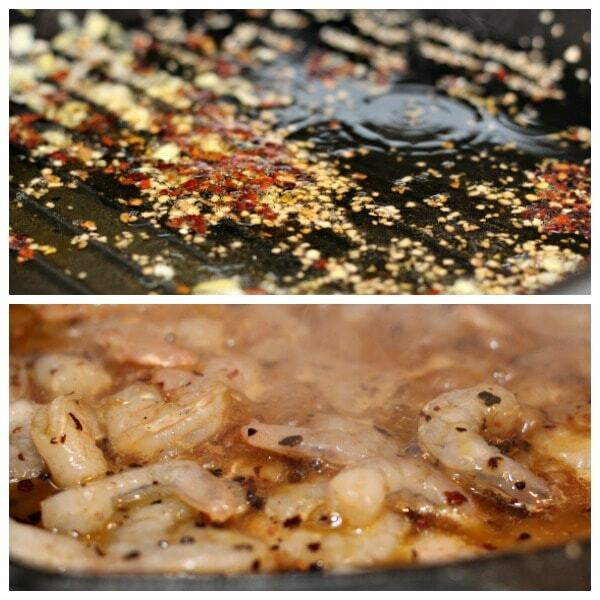 Drain oil and place shrimp on an platter, sprinkle with extra red peppers, if desired. 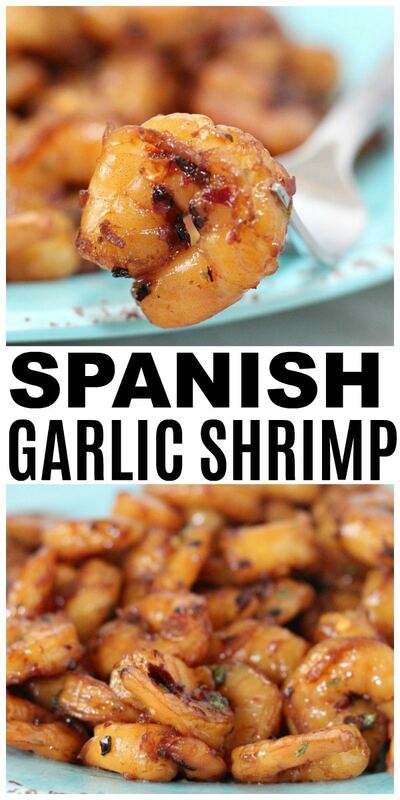 Don't forget to PIN this recipe for Spanish Garlic Shrimp so you can come back and make it again!